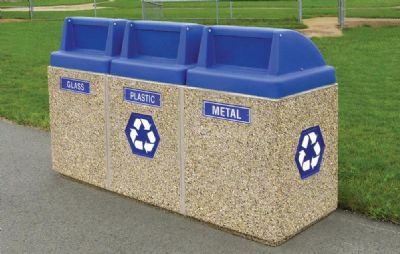 This concrete recycling center has three separate 45 gallon containers conveniently produced as one. Made of steel reinforced concrete and three separate plastic self-closing push door lids. Each container is conveniently and clearly labeled and includes a 45 gallon recycled plastic liner. 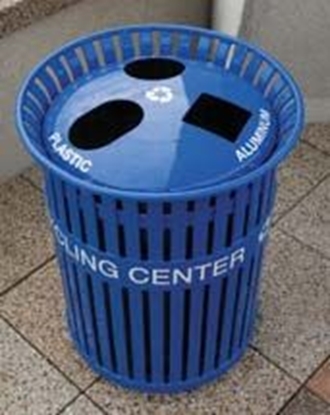 Large recycling logos on the front and side make it easy to spot. 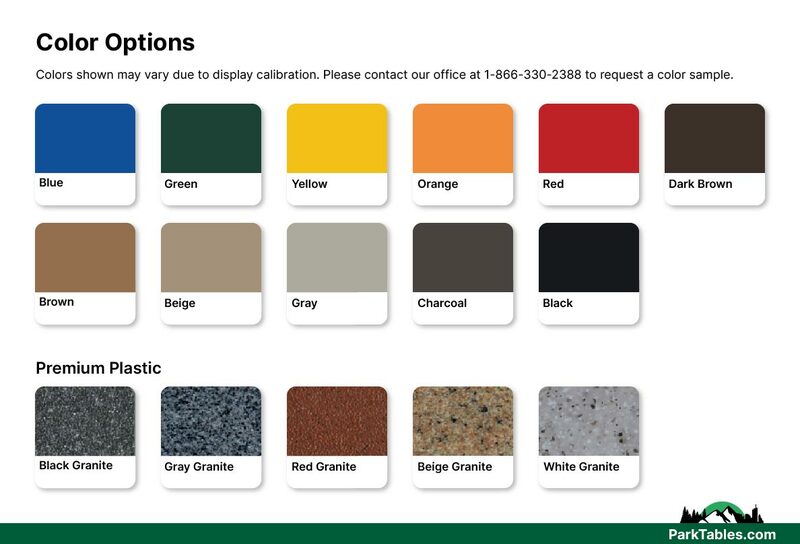 Available in a variety of colors and finishes.